Hello everyone! If you're a regular reader of my blog, you'll know that I'm not one to avoid talking about products that have let me down. 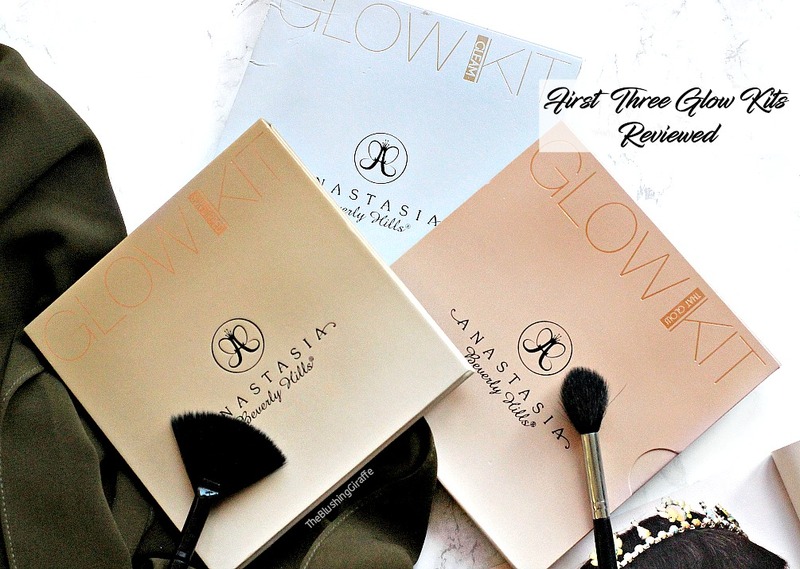 I think in the blogging community there is a bit of an awkward turtle vibe, when it comes to 'negative reviews', however the whole reason I read blogs in general is to get a well rounded opinion of a product. And if its not quite what that blogger expected, I want to know why and if it would impact me the same y'know? Especially when it it comes to high-end pricy items, because in some ways if I buy a £5 concealer and it doesn't work out, then it's not as big of a disappointment. But if I'm spending more than £15 on a concealer, then it had better be worth my monies! I have products from both these brands that I really enjoy, so I am in no way dismissing either of them! 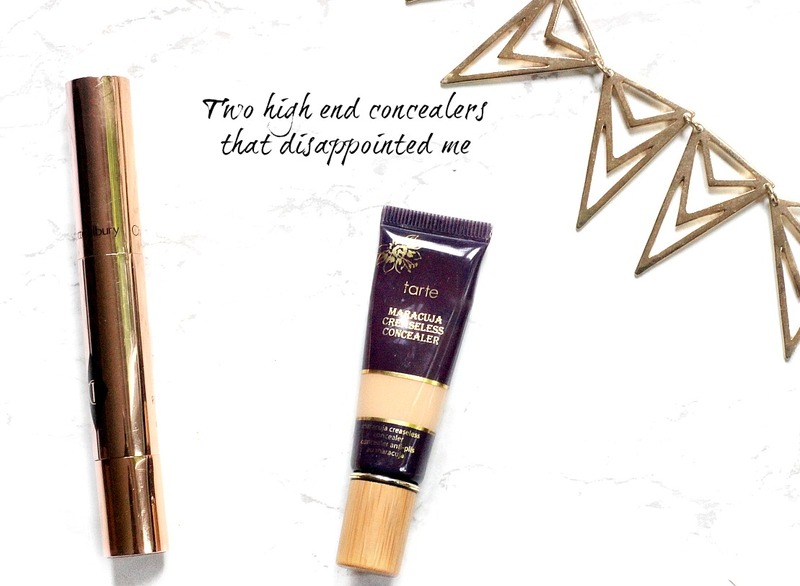 However I paid quite a lot of money for both of these concealers and I have tried for months to get both of them to work, yet alas they are just not my cup of tea. 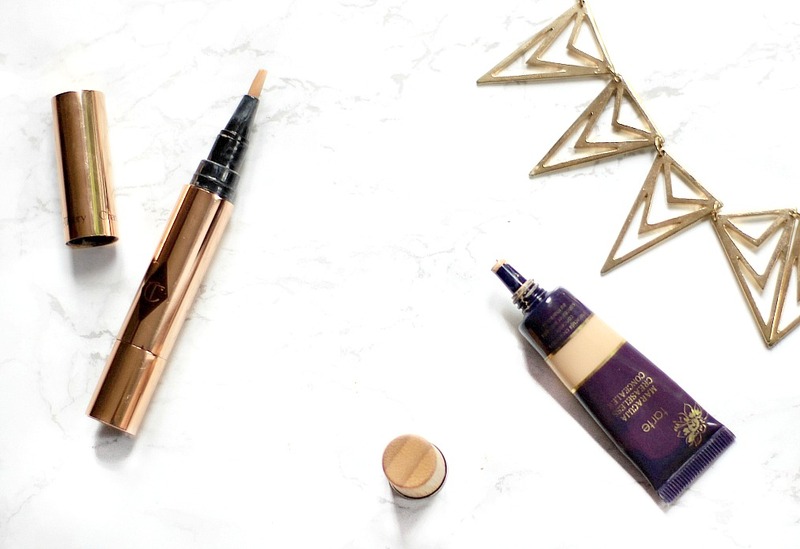 To be totally honest though I am quite the concealer critic, I have tried many in my time and only really appreciated a few (with my most loved being the Kevyn Aucoin Sensual Skin Enhancer - review here). I purchased this at the Harrods CT counter last August and it was definitely not what I went there for, but I kind of got coaxed into buying it. The sales assistant who was very nice (at least there was good service there), sat me down in the stool, took off my concealer and applied this. I was very sceptical because from the YouTube videos I had seen the coverage looked far too light and yes I should have gone with my instinct! The MUA on the counter spent a good couple of minutes buffing and layering and buffing layers on concealer on my under-eye, and I was so excited to be at an actual Charlotte Tilbury counter that I don't think I fully realised the amount of work that was going into my under-eye area! With the right techniques and the use of the CT Airbrush Flawless powder (which I adore by the way), the MUA had created a flawless undereye and I was mesmerised. So without even asking about the price, I was pretty much ushered to the till and walking away with a £25 concealer - ouch ._. So basically the coverage of this concealer is light, if you have dark circles don't even bother. It has a similar vibe to the YSL Touche Eclat, in that its supposed to be brightening but as the shade I have is a close match to my skintone it just doesn't work well like that for me. The only way I've been able to use this is around light redness on my skin, however try as I might I just cannot recreate the same beautiful flawless undereye that the MUA created. I've used several different brushes, waiting in between layers to let the concealer set and also used it with a corrector, but I just can't do it and its really upsetting that I paid £25 for a concealer I rarely use. Whilst this doesn't ever look cakey on the skin, the lack of coverage is just not good enough and I don't really know who I'd recommend this too. Do let me know if you've enjoyed this, or if you've had a similar experience! I picked this concealer up in my 20th birthday Sephora haul because I had heard a lot of great things about it on the YouTubesphere. I purchased the shade medium sand based on the fact that Huda Beauty uses it and she has a similar skintone to me, and the good news is I do like the colour. Its yellow toned and very brightening...however that is where the likes end pretty much. The formula of this concealer is what I cannot get along with no matter how hard I try, it is extremely WET. 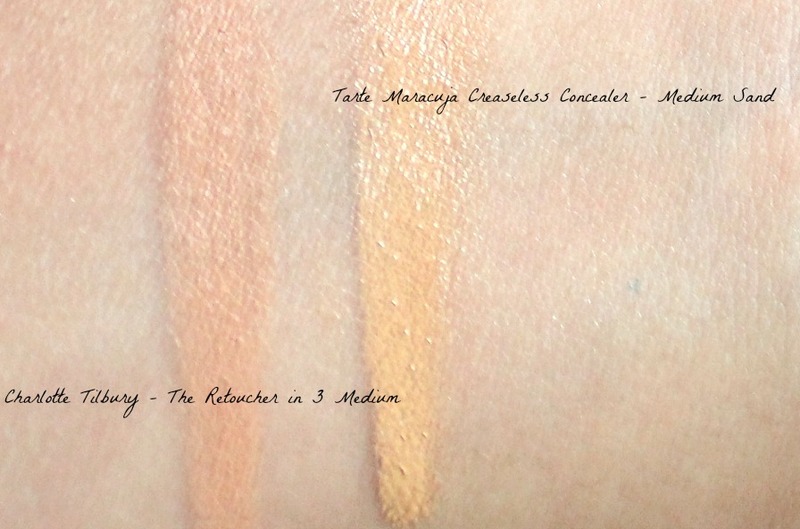 I understand the love for having a hydrating concealer, especially if you have dry under-eyes, but the maracuja concealer is just greasy looking to me! When you squeeze it out, it comes out in a thick paste which is pretty sticky, but easy to blend out. However even with powder it still doesn't set well for me. Perhaps if I use the baking technique it would work better, but in general I find it annoying that a bit of powder doesn't even work to set the concealer in place. I think the wet look is due to the amount of oils they have included, and I really do appreciate that Tarte care a lot about their ingredients they're one of the few brands who do. However for me the amount of oil in this stuff is far too much. Another thing that is frustrating is the lack of coverage, even with the use of a corrector my darkness still shows through, despite it being labelled as a full coverage concealer. Also it is certainly not creaseless! I know i'm not the only person who has found this 'creaseless' concealer to actually crease under the eyes, which just isn't okay. I am aware that the majority of concealers do crease a little, especially if you have fine lines already. But this stuff creases like no tomorrow so I'm really unsure where they got the 'creaseless' part from. I'm sure this concealer COULD look okay with a heavy corrector, some baking and a lot of blending out to avoid the fine lines but for me it is far too effort to get it to work for me. Again please do let me know if you had a similar/different experience with this concealer and if you have any tips or tricks with either of them! I've swatched them both together, as you can see the retoucher in medium is not as bright or light as I usually go for. It does look a little bit more peachy in the swatch by the way. So yeah there you have it! Sometimes high-end products work really well and other times they just aren't quite what you'd expect. I will not be purchasing any more highend concealers without doing a tonne of research, plus like I said I'm smitten with the Kevyn Aucoin SSE (so much so that I now have three shades!) so I'm all concealered out haha. Have you tried either of these? When were you last disappointed by a high-end product?